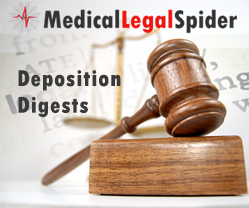 Medical Legal Spider, a CAP Digisoft Solutions, Inc. company & global Business Process Outsourcing and Software Developer announces the availability of Deposition Digests. Currently, attorneys litigating injury cases from across the United States rely on Medical Legal Spider for organizing raw medical records into easy to review files, creating informative chronological summaries, identifying missing providers' records and numerous custom requests. "Several law firm clients asked if MLS' could apply our time and cost efficient process for summarizing relevant and actionable information to lengthy Depositions, Reports and other Transcripts often found in Injury litigation", says Rick Litzky, VP of Business Development for Medical Legal Spider. "So we listened, trained our review teams and now deliver reliable Deposition Digests at a fraction of the cost and for many law firms, in record time", Mr. Litzky went on to say. Using Medical Legal Spider's innovative technology platform, MLS easily replicates the format each law firm is accustomed to, so review teams produce Deposition Digests that are exactly what attorneys wantthorough and concise. At the same time, outsourcing to MLS helps law firms avoid the workflow bottleneck that these tedious and time consuming tasks frequently cause. Law firms of all sizes benefit from Medical Legal Spider's economies of scale, standardized processes and sophisticated technology support, while better managing Medical Documents and now Deposition Transcripts. Medical Legal Spider builds on CAP Digisoft Solutions' years as an experienced specialty provider of medical record sorting, organizing, indexing, identifying missing medical records, factual summarizing and other medical data extraction services. In fact, the company has processed nearly 50,000 medical-legal cases plus tens of thousands of mass tort cases, since 2007. 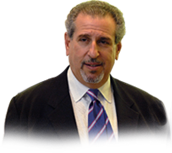 For more information or to submit a file for a free trial of any of Medical Legal Spider's services,please contact Rick Litzky, VP of Business Development at 1-855-6SPIDER or by email free@medicallegalspider.com.